This is not the first time that Heckler & Koch weapons have been chosen by dictators and warlords. 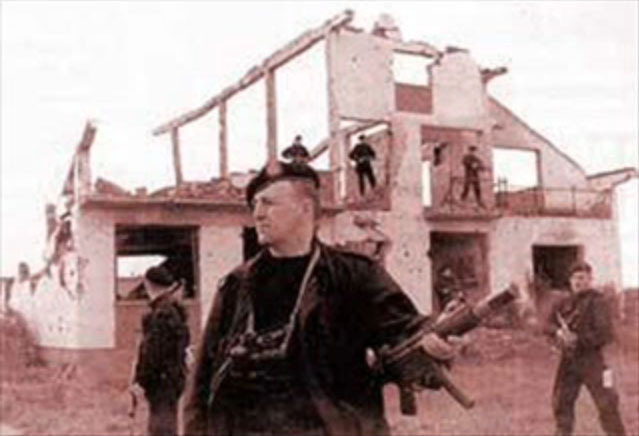 Notorious Serbian warlord Arkan, who was indicted by the UN for crimes against humanity, carried a silenced H&K MP5 submachine gun, and armed his bodyguards with MP5s too. Heckler & Koch has an international sales office in Nottingham, which exports millions of pounds worth of weapons every year. Thanks to “Disgusted” for posting the item about Gaddafi’s son on Nottingham Indymedia. If you have any interesting information about Heckler & Koch or other Nottinghamshire arms companies, please contact Shut Down H&K or Notts Anti-Militarism.